I came out of Coward, the first Criminal volume from Ed Brubaker and Sean Phillips, with a compulsion to seek out more crime comics, especially the ones by this creative team. The second volume, Lawless, continues developing the shared universe in which these stories occur with considerable inventiveness, but it is for a number of reasons an overall less entertaining read than its strong predecessor. After a military scandal which led to his untimely departure from the service, Tracy Lawless returns to Center City to avenge the murder of his brother Ricky. All he knows is that his brother Rick was betrayed by a member of his own crew, so Tracy infiltrates the gang to learn the truth about his brother's death. But as Tracy takes Rick's place in the gang, he learns that his brother's past was more complicated -- and more twisted -- than he expected, even as his investigation leads him to the most corrupt of the city's real power brokers. As a follow-up to Coward, Lawless has a very high bar to match; I was extremely impressed with Coward and quickly understood why the series was gaining high marks for originality. 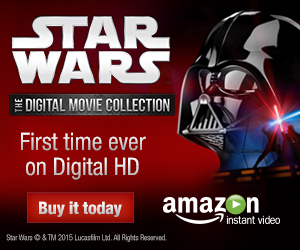 How, then, do you do an original sequel? Brubaker negotiates that territory by opening up a new corner of Center City rather than following up with Leo and the rest of the gang from the first trade. If Coward was Brubaker's reexamination of the heist story a la The Italian Job, Lawless is his revenge film in the vein of Get Carter. But in Lawless, Brubaker doesn't do as much as I was expecting to subvert the genre. While he does play with expectations by making the case about who Rick actually was rather than who killed him, the central mystery of the triggerman is quite transparent; anyone with a passing familiarity with noir revenge films will probably spot the culprit right off. But even a predictable Brubaker story is still a first-rate read. Tracy's voice is clearly different from Leo's, and the narrator is hard-boiled without clutching cliches in his teeth. More interesting, though, is the way that Brubaker plays with time in Lawless. Coward was more linear, its protagonists haunted by a past we dispensed with in the prologue, but in Lawless the book itself is haunted by an intrusive past that appears without warning, disorienting the reader and forcing us to restabilize the narrative. Take the book's first page, which opens with Tracy standing over a dead body. A few panels later, we see the murder itself; by the end of the first chapter, we see the moments before the murder. This wibbly-wobbly approach to chronology is initially jarring, but it smartly helps us to understand Tracy's relationship to his past so that his surprising decision at the end of the book at least seems justified. It's clear that there is more to Tracy's story yet to be told, so I'm eager to see this character recur in the shared universe of Criminal. Brubaker is again teamed with Phillips, and it's a peanut-butter-and-jelly partnership that makes absolute sense, like Morrison/Quitely, Lee/Kirby, and Moore/Gibbons. Phillips's use of shadows fits perfectly with the neo-noir vibe, cultivating a sense of danger melded with intrigue. His facial expressions are subtle and sketchy, expressive without too much distracting detail. Better still, each character has a unique look, with signature expressions that help the reader keep everyone straight while getting a sense of who's telling the truth and who's lying. At home both in the bedroom and in a shootout with the cops, Phillips's art solidifies itself as an essential component of the Criminal ambiance. 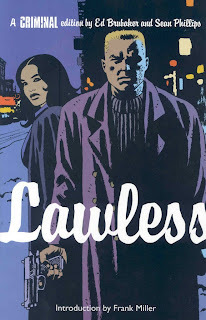 Though it doesn't break new ground in the same way that the first volume did, Lawless retains a readability that raises the profile of crime comics; I haven't read something as deceptively straightforward since Frank Miller's Sin City, with both doing exciting things in the realm of capeless comics. If the recent move toward creator-owned comics produces more books like Criminal, I'm all for it. I can't wait to read Criminal. Just last night I finished Brubaker and Phillips' Sleeper Omnibus and it is easily one of the best stories I have ever read. Absolutely fantastic.